For five days in a row this week a federal agency was blockaded by protesters, delaying workers, sending a strong message of demands and resulting in scores of arrests. Did you hear about the blockades in the corporate, mass media? The blockades were just a driveway’s distance from CNN, just around the corner from NPR and in a mass media center, Washington, DC. Do you wonder why they did not report that there were blockades outside of the Federal Energy Regulatory Commission (FERC)? 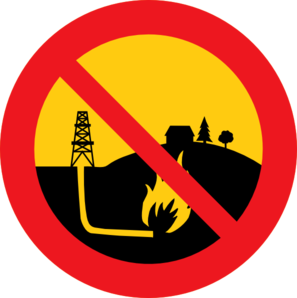 The protests were because FERC has been rubber stamping fracked gas infrastructure permits without considering the environmental and health impacts, especially ignoring climate change, and ignoring the views of the communities. Gas companies are very big advertisers in the mass media. The blockades were organized by the Beyond Extreme Energy (BXE) coalition of which Popular Resistance was a member and each day the four entrances to FERC were blocked. The people impacted by FERC decisions and fracking were always front and center. The protests included massive photos of families impacted by fracking, a model of a town and the voices of frack-impacted people. People from fracked gas communities described getting notices that they could no longer drink their water or use it to wash dishes, clothes or take showers. They described farm animals with large tumors and hunters being unable to eat deer killed because of their tumors. They described illnesses and deaths from cancers. There were daily conflicts with the police at each entrance to FERC as this video from the fourth day of protests shows, when we were joined by students from Hampshire College. It was an excellent week of blockades with lots of great people coming to DC. Some came as part of the Great Climate March, walking from California to DC with many staying for the week of actions. Each day BXE began by blockading the four entrances into FERC to stop employees from entering. It took about three hours each day for the police to remove blockaders, resulting in 70 arrests at FERC, as well as more arrests at FERC-approved projects around the country. In the afternoons there were additional protests in different parts of Washington, DC or at Cove Point Maryland where an export terminal for fracked gas was approved by FERC and Maryland Governor Martin O’Malley. Eleven BXE protesters were arrested in an inspiring action, completed in the midst of heavy police presence. The third day focused on the racially unfair impact of environmental exploitation and included a protest at the Department of Justice about police brutality. And, there were fracking protests in other key areas like Seneca Lake, NY. The first afternoon, the day before Election Day, a protest was held at the Democratic National Committee where Democrats were told they should not count on voters concerned with climate change. The protested highlighted likely Democratic Party presidential candidates and governors, e.g. Hillary Clinton, O’Malley, Andrew Cuomo, Jerry Brown, Peter Shumlin and John Hickenlooper. In addition to delivering a letter, laying out the case against the Democrats on climate change, protesters presented them with pillows covered in oil and gas company logos so they could be comfortable in bed with the industry. One Day, Four Actions On the fourth day of protests BXErs participated in four actions that exemplified how all our issues are connected and how we need solidarity across issues if we are going to succeed. The day began with blockades of FERC, with the climate justice protesters focused on the connections between militarism and energy. It was the UN International Day for Preventing the Exploitation of the Environment in War and Armed Conflict. Ellen Barfield of Veterans for Peace took the lead in organizing the day. The police seemed unnerved by the silence of the blockaders who remained silent in memory of those killed in wars. A die-in highlighted the human casualties of war. Signs urged an end to the war on Mother Earth and pointed out how the Pentagon was the institution that emitted the largest amount of climate gases, how the US fights wars to dominate the planet and control the oil and gas supply, as well as how President Obama is using fracked gas as a weapon to weaken Russia, the source for Europe’s gas supply. The BXE blockaders than moved on to a protest on Capitol Hill against rigged corporate trade agreements, with a special focus on stopping fast track trade authority, which would prevent Congress from fully exercising its constitutional responsibility on foreign trade and give expansive power to the president over trade. The protesters were led by a 32 foot long “Fast Track Train” around the capitol with a massive 30 foot tall sign at the rear of the march which called for defeat of the Trans Pacific Partnership (TPP). Earlier that day a broad coalition of labor, environmental, consumer and other “stakeholder” groups delivered a petition to Congress signed by more than 500,000 people opposing “fast-track.” This week a week of action is being held to increase awareness of the dangers of Fast Track, the trans-Atlantic agreement and TPP. TPP is part of the Asian Pivot surrounding China both militarily and economically. And we are asking people to visit StopFastTrack.com this week to use the tools for contacting Congress. Then, the BXE protesters went to National Public Radio (NPR) where they protested the biased reporting of NPR on fracked gas as well as their accepting of donations from the trade association for gas companies. The gas industry spends lots of money in advertising on all television networks. But, it is especially disturbing that NPR, which claims “we are unbought and unbossed. The listeners own us.” accepts money from the industry and falsely reports on gas issues. Listeners of NPR have come to realize the station cannot be trusted when it comes to news reporting – which is often pro-corporate (their donors) and pro-government, including pro-war (their other major source of income). Activists are calling NPR: National Propaganda Radio. people submitting public comments – by far the record number of comments ever submitted – 99% (literally, 99%) calling for reclassification and Net Neutrality, Wheeler, the former top lobbyist for the industry, is still pushing his flawed proposal. This emergency action, organized in a few days, is the beginning of escalating actions that will force Wheeler and the FCC to listen to the people and not a handful of corporations. Sign the action pledge here for updates. Each of the issues raised that day impact all of us and all of the issues we work on: climate change, war and militarism, media corruption, Internet access and global trade. Other days brought in the issues of the corrupt corporate duopoly and a government bought and paid for by big corporations and the wealthy; and the racially unfair impact of environmental toxicity and other issues. There is power in recognizing how our issues are connected. Working together we are stronger. Challenging the system and seeking transformative change is the only way we will create the change that is needed. Here’s some inspiration from the week . . . Follow Popular Resistance on twitter. This is the weekly newsletter of popular resistance. You can sign up for it here. Kevin Zeese and Margaret Flowers are organizers with Popular Resistance.